Frieda Loves Bread: Chewy Bagels ~ You Have to Make These!! 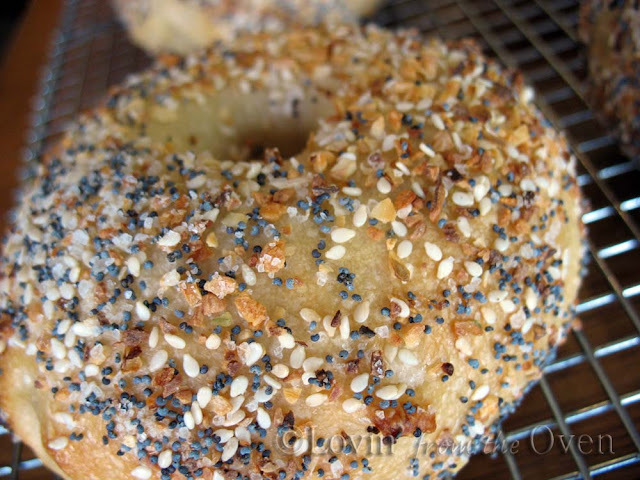 16 Chewy Bagels ~ You Have to Make These!! 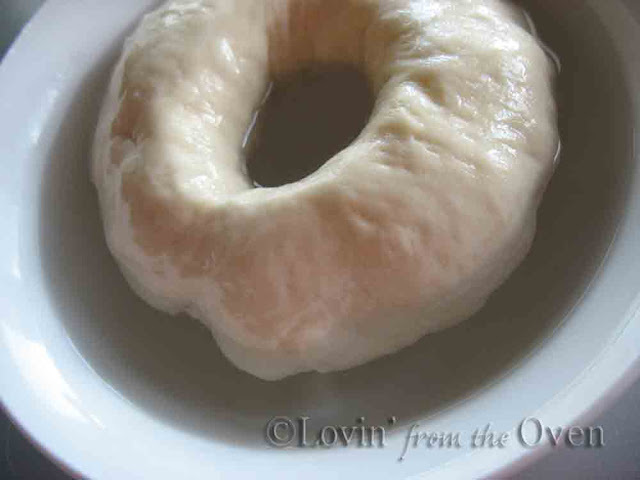 Let me introduce this lovely, chewy water bagel that rival the ones from your local bakery. 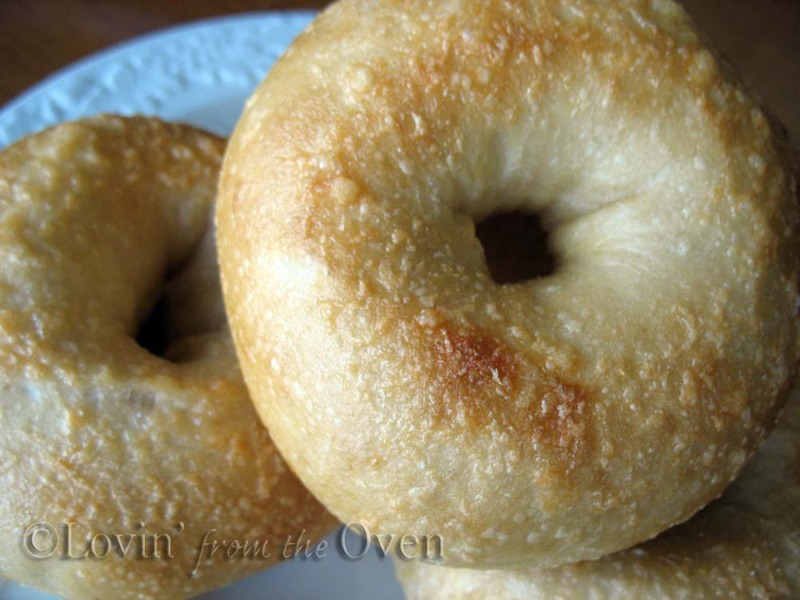 Bakeries often "steam-bake" their bagels, making them light and chewy, but often lack in flavor that these boiled bagels can give you. I made bagels many, many years ago and swore I would never bake them again. They were too time consuming; had too many steps. I was pleasantly surprised at how easy and simple these were to make! 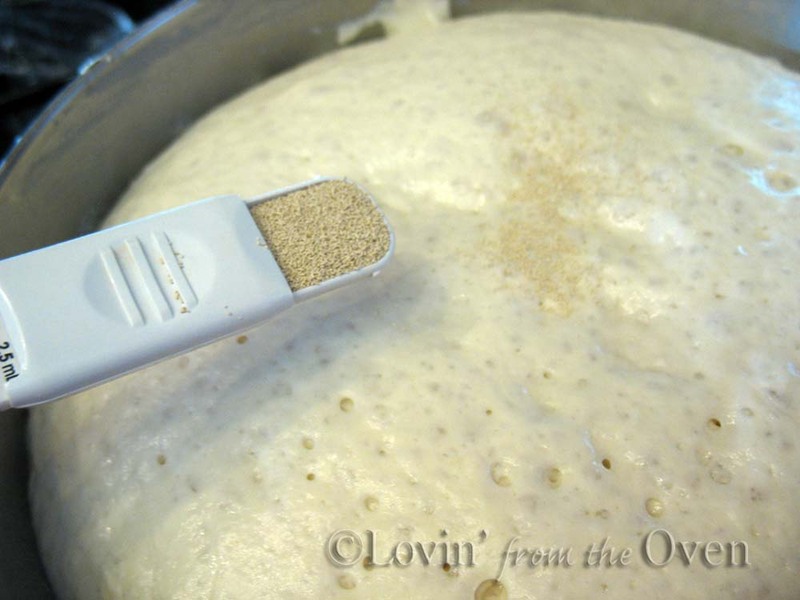 It begins with a batter-like sponge of yeast, bread flour and water. I don't have bread flour, so I used 1 Tablespoon of vital wheat gluten plus enough all purpose flour to equal 4 cups. After 1-2 hours, it is a bubbly mass. more high gluten (bread flour or APF with vital wheat gluten), salt and malt powder. What is malt powder? It is a derivative of roasted barley. It converts the dough starches into sugar, promotes a strong rise, gives it great texture and that beautiful brown crust. You can find malt powder and syrup at Kingarthurflour.com. Only 2 teaspoons are needed for this recipe, and the rest can be stored in your freezer. Do not confuse malt powder with the malted milk powder that you use for shakes, etc. It is not the same thing! 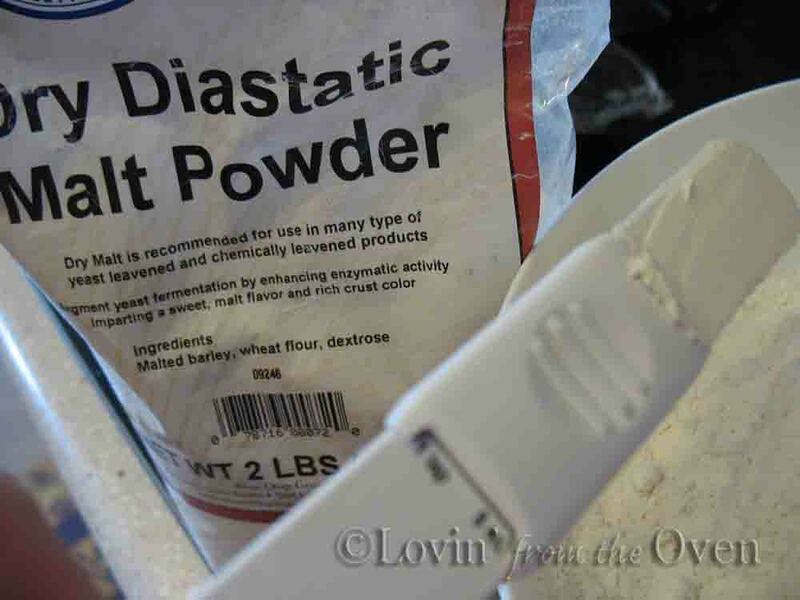 If you don't have this powder, you can use honey, brown sugar or malt syrup. O.k., for those of you who have the Classic 4.5 qt. 250 watt Kitchen Aid mixer, DO NOT USE it for this recipe. 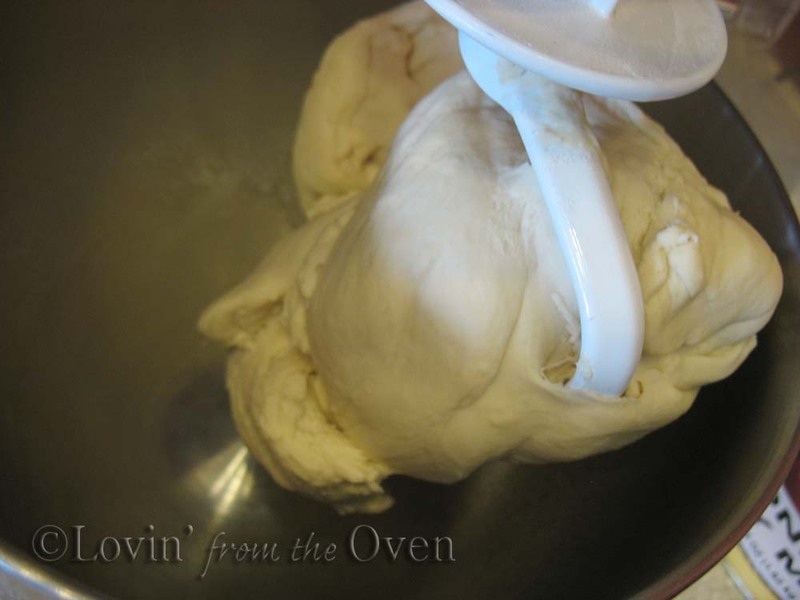 You will kill (burn out) your mixer with this very stiff dough. I recommend an electric mixer that is at least 450 watts or higher. Oh, and yes, a Bosch mixer will work! 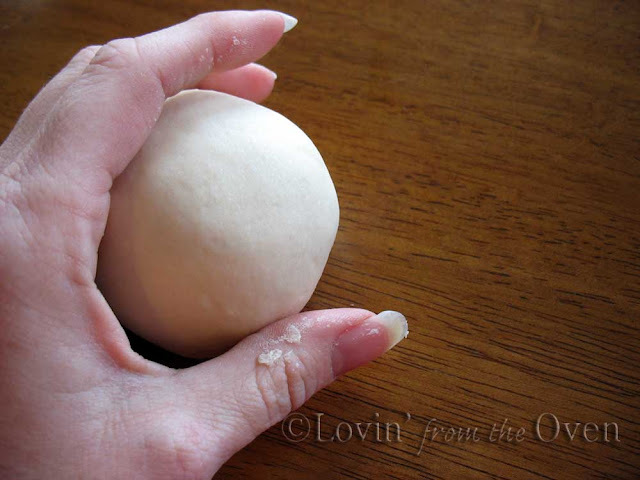 Knead by hand or use a mixer till you have a smooth, pliable dough. 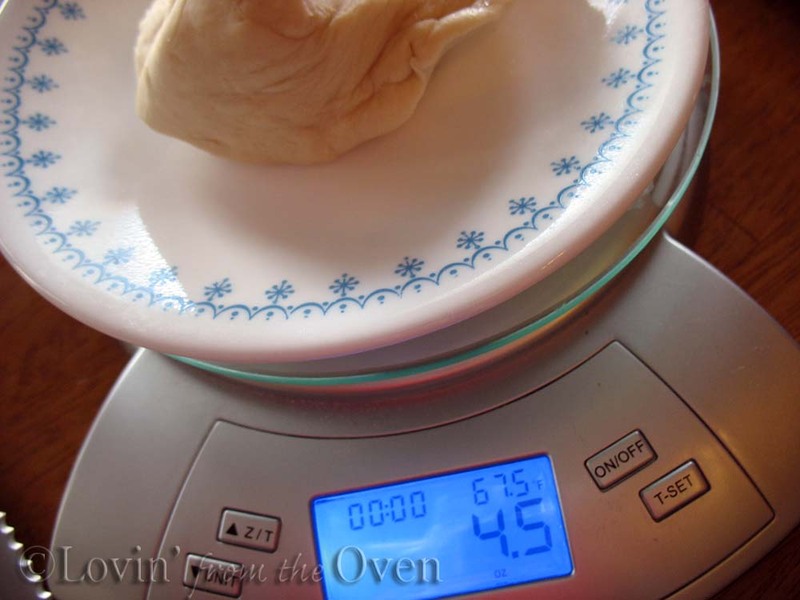 The original recipe suggests weighing the dough into 4.5 oz. portions, which make 12 VERY LARGE COSTCO SIZED bagels. I prefer to make the 2.25 oz size, which makes 24 perfect mini bagels for sandwiches, mini pizzas, etc. And stretch it out with my fingers until I get a 1-2" sized hole. The shaped bagels are covered with plastic wrap for another 10 minute rest. This part is new to me. After 10 minutes, you give one bagel the "float test." Why do the float test? It will let you know exactly when to put the bagels into the fridge to slow down the rising process. If you wait too long, your bagels may rise too much and deflate during baking. Drop the bagel into a bowl of room temperature water. If it floats, it's ready to go into the fridge. If not, wait another 5-10 minutes and test the bagel again. This floated immediately. It floats, it floats!! Bagels are covered with plastic wrap and put into the fridge for up to 2 days. 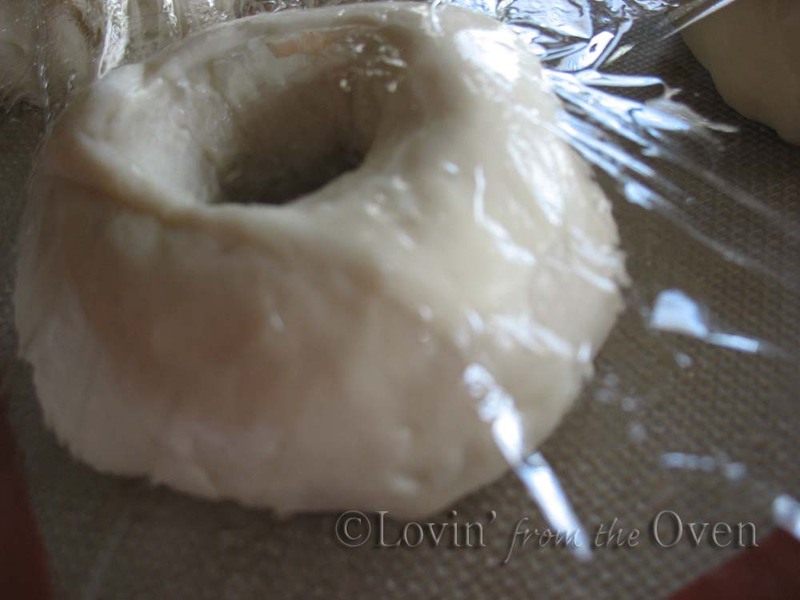 Make sure no air can get into the plastic wrap or your bagels will develop a "crust" where the air comes in contact. Set it and forget it, awriiiiiight! When you are ready to bake, set your oven, and get a large pot of water ready. Add baking 1 T. soda to your water. This is one of the secrets to a chewy crust! and immediately dunked into toppings of your choice. My boys love the EVERYTHING topping. 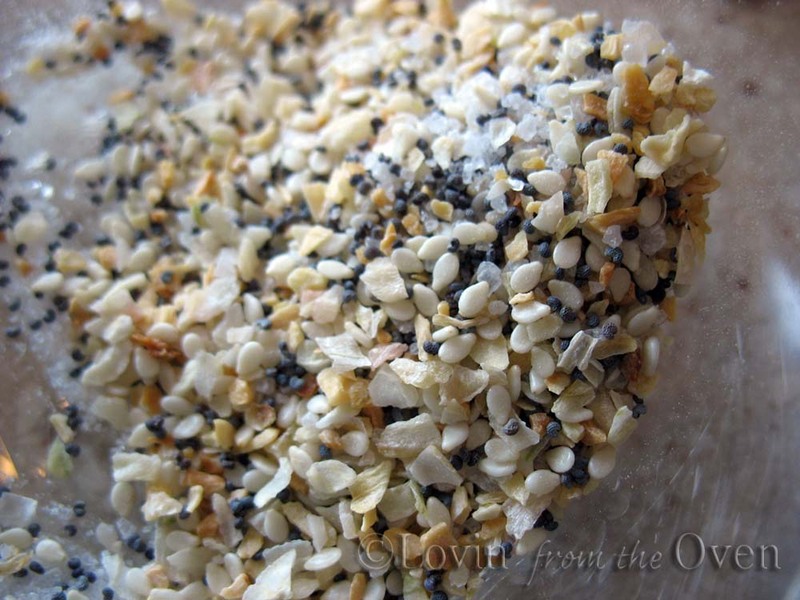 This is equal parts of sesame seed, coarse salt, dried garlic, dried onion and poppy seed. I found the garlic and onion at Winco. Hooray for bulk spices! Tip: I couldn't bring myself to pay $5 for 1 oz. of sesame seeds. I spoke to my local baker and he sold me 2 oz. for .60 cents! 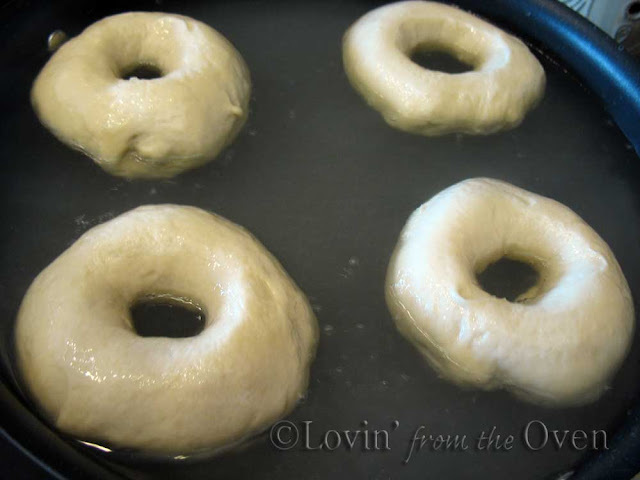 Immediately bake the bagels for 5 minutes at 500 degrees, rotate pans, drop the temperature to 450 degrees and bake for another 5 minutes. Cool on a wire rack for 15 minutes, and they are ready to eat!!!! I love these bagels. I've made them about six times and hope to always have a stock in my freezer. I usually make 16 instead of the 12. I think they are the pefect size. What an awesome job - I am totally impressed. The one thing I like best about blogging is the incentive others give you to try something new. I have thought about making bagels but haven't gotten to it yet. I'm more inclind to do so after reading other people's experiences! 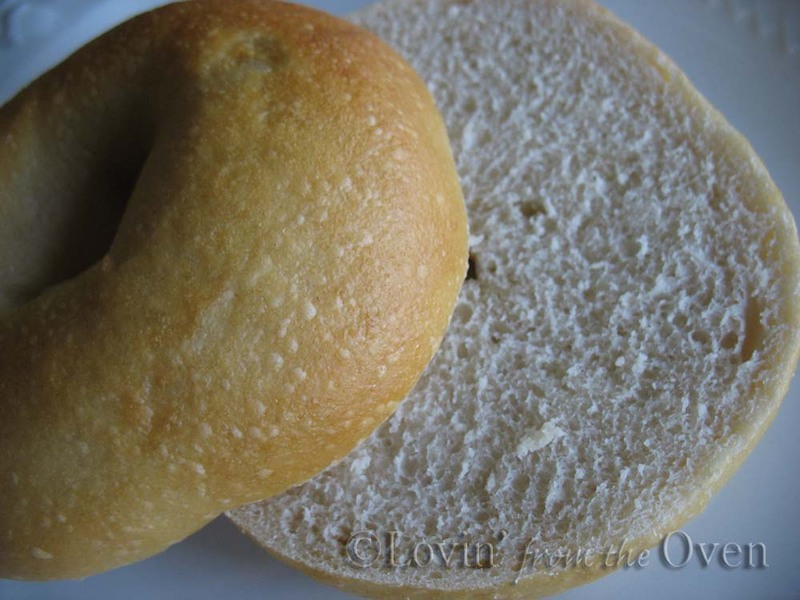 The crumb of your bagel is perfect. Thanks for the lesson. I've wondered if this book is something I really need, cookbooks are just overwhelming my life! I appreciate your opinion. I am very... very impressed. 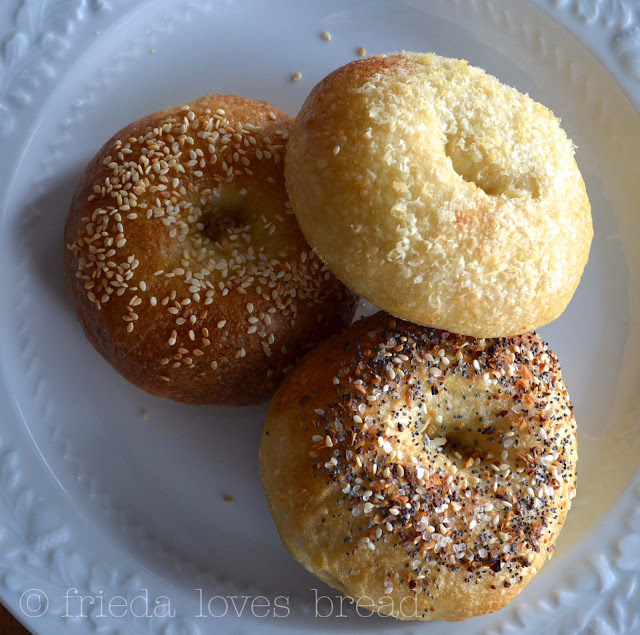 Great looking bagels Frieda! One of my favorites from the book too! 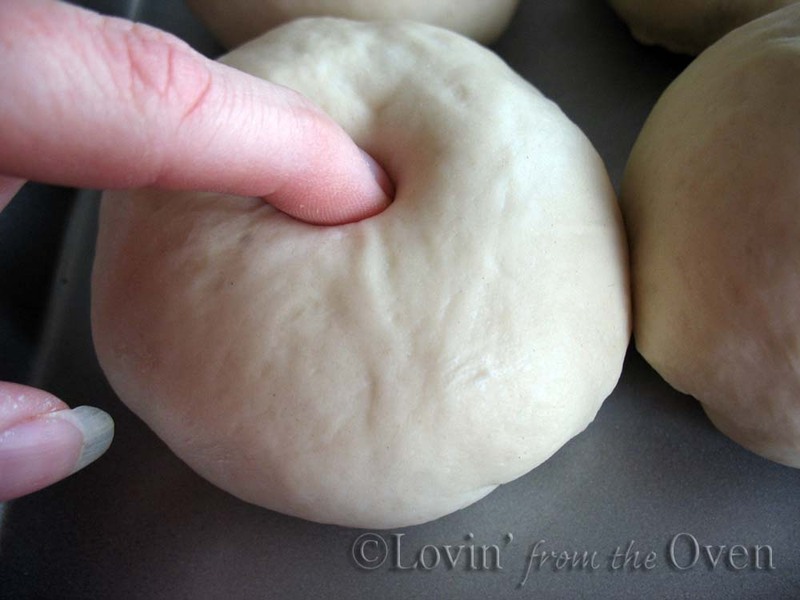 I'm actually making them today, subbing in some whole wheat flour. We'll see if they turn out well enough to blog about. These are some awesome looking bagels. I haven't been really successful in making bagels yet - tried 4 recipes, and none of them really worked. The BBA bagels were the best flavorwise, though. They were all flat, though. The bagels have been my favorite bba recipe so far. I've even made them a couple of times. Yours look great! Those bagels look amazing! I'm definitely going to give them a try. These bagels look so delicious. You make it look so so easy! Your bagels look perfect, I've been wanting to try making some of these maybe I will, now that you made this look so easy! WOW. great job! they look fabulous and even better than the ones at my local bakery!